Exhibition in Kunstuitleen Vianen, Spekdam 2. Opening Friday 3th May 2013, 16.30, by two representatives of the local government of Vianen city. Opening daily Monday, Tuesday, Wednesday, Friday 11 – 17 h, Saturdsay 11 – 16 h, until 25th May 2013. Hofweg 1 (opposite the House of Parliament) from April until end of May 2012. 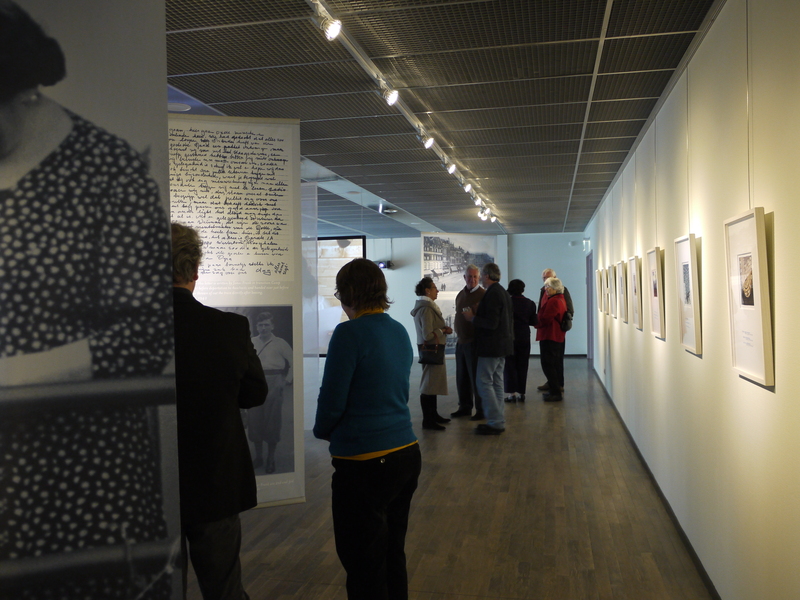 TRAGEDIES TO REMEMBER multimedia poetry exhibition in Museum Kamp Westerbork 5th February – 25th March – now ended. 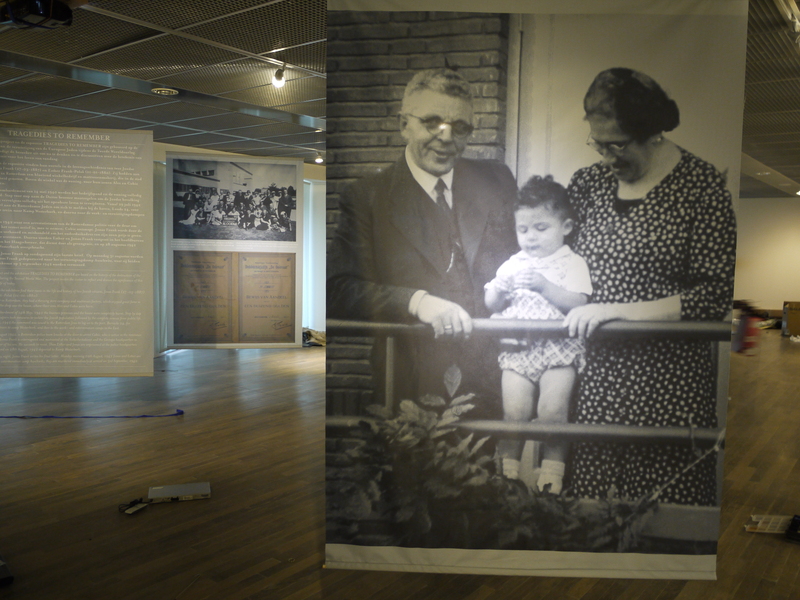 A great public, and many students and school kids visited the exhibition in Museum Kamp Westerbork and wrote down their impressions in the guestbook. impressions of the stunning design ! 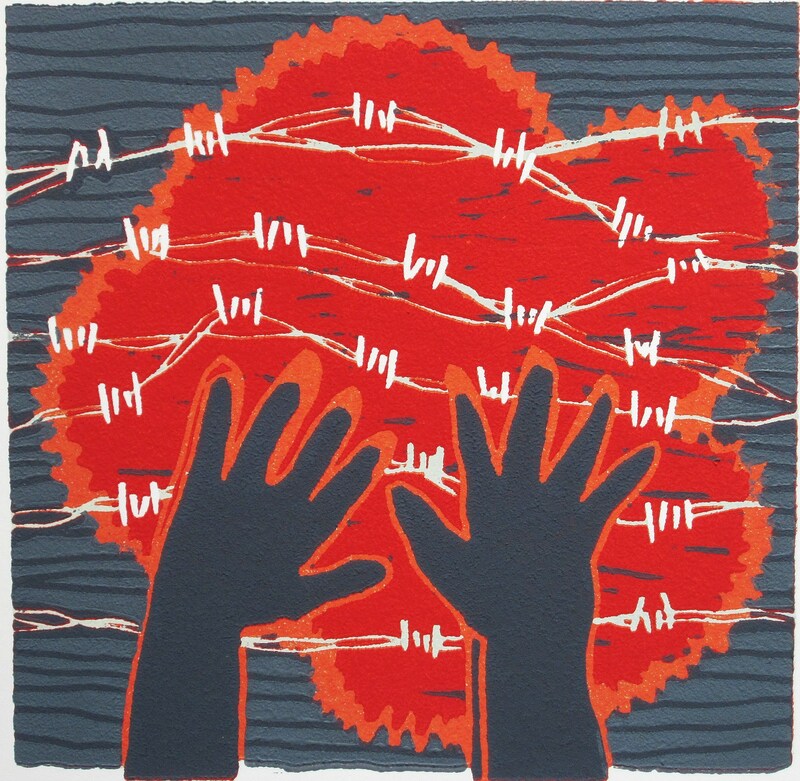 The project consists of a series of haiku poems on the Holocaust, the extinguishing of the European Jews by the Nazi regime during the second World War. The poems are published in 2 full color illustrated poetry books and first copies were handed over to the Mayor of the city of Dordrecht, Mr. Arno Brok and the Rabbi Mr. Awraham Soetendorp on Sunday 2nd October 2011. The lino illustrations for the poetry book on original scale, together with the poems, photos, a video installation, a filmed documentary and interview portraits serve as a traveling exhibition in the Netherlands and in other countries. 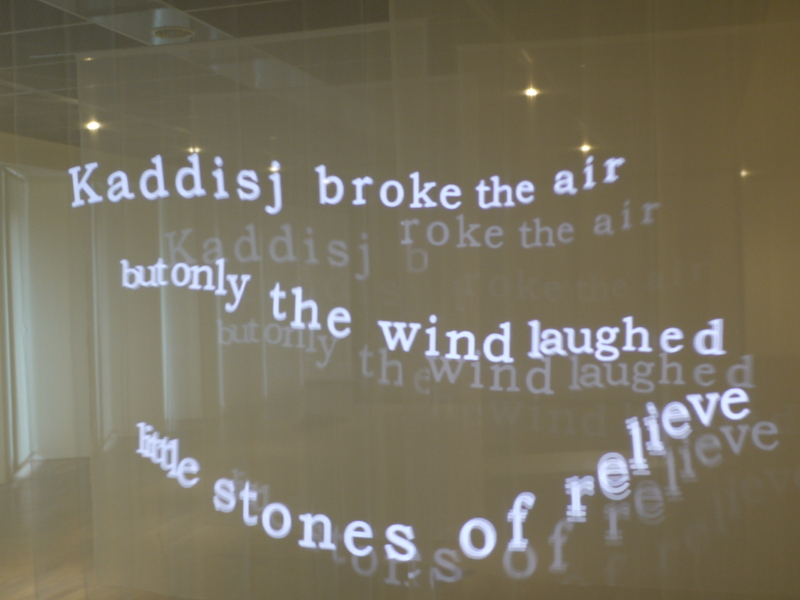 The multimedia exhibition has been released for the first time at the opening meeting of the poetry project, 2nd October 2011 in Dordrecht. This weblog provides information on the stages of realization of this project, news and comments, the paintings of the artist Diana van Hal that serve as illustrations, the video installation by the documentary filmmaker Jeanne van der Horst, etc. This entry was posted in Holocaust, Shoah. Bookmark the permalink.